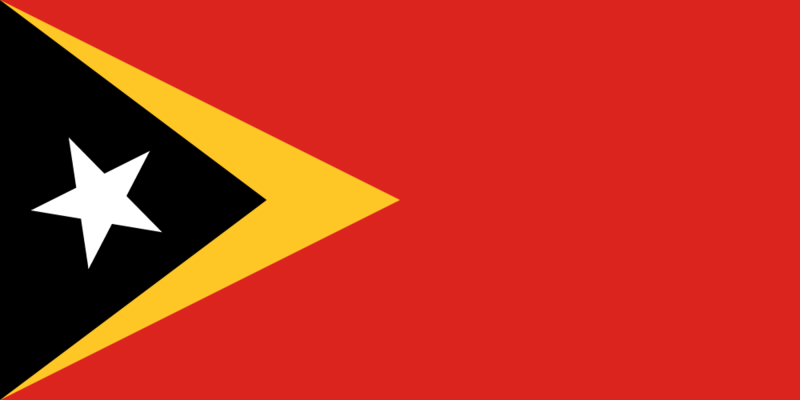 The flag of East Timor consists of a two overlapping isosceles triangles on a red field. Both triangles’ bases are along the hoist, the topmost triangle is black and contains a white five-point star and sits on a yellow triangle, which extends further the length of the flag. This flag was adopted on May 20th, 2002.